Submitted 1 month 2 days ago by saltlake14. 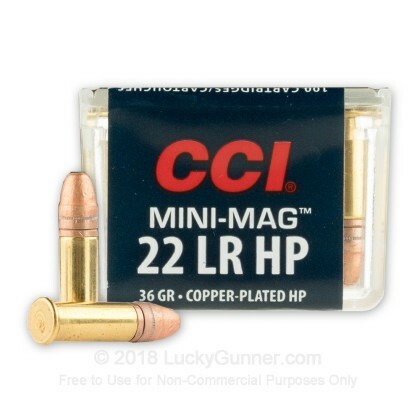 This is the legendary CCI Mini-Mag of your childhood days. Newly manufactured by CCI, this bulk product is sure to provide many hours of fun. Each lead hollow-point bullet is gilded (coated) with a thin copper plating to reduce muzzle build-up and to help the bullet retain its shape during feeding (into the chamber), flight, and to some degree, impact. These are ideal for varmints.